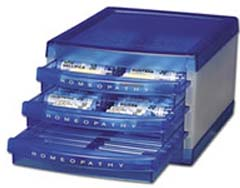 Home/Bestselling Medicines, Homeopathic Medicines, The New Safer Medicine Cabinet/Oscillococcinum 30 Doses — for flu/influenza! There have been THREE large clinical studies published in respected medical journals that have confirmed the efficacy of this medicine in reducing the symptoms of the FLU. No other medicine (conventional or natural) has been verified as effective so consistently as this remedy! Each of these studies were relatively large in the number of subjects (487, 300, 372), and all were multi-centered placebo-controlled and double-blind (two of the three trials were also randomized). Each of these trials showed statistically significant results. The reference below is from an internationally respected body of researchers. REFERENCE: Vickers AJ, Smith C, Homoeopathic Oscillococcinum for preventing and treating influenza and influenza-like syndromes (Cochrane Review) The Cochrane Library, Issue 4, 2005. Product Description: Oscillococcinum” (o-sill-o-cox-see-num) is safe, natural and easy to take. Oscillo” works best when taken at the first sign of flu. So make sure you have some on hand to fend off your flu symptoms at their onset. 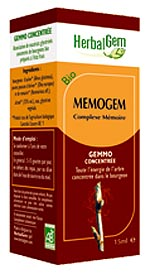 Use for the temporary relief of symptoms of flu such as fever, chills body aches and pains. Active Ingredient: Anas barbariae hepatis et cordis extractum HPUS 200CK. This ingredient is the heart and the liver of a duck…because biologists today have discovered that ducks and select other birds carry many kinds of influenza viruses in their digestive tract, this may help explain why this medicine has been found to be effective in treating people with influenza-like syndrome…and homeopaths have been used it since the 1920s.